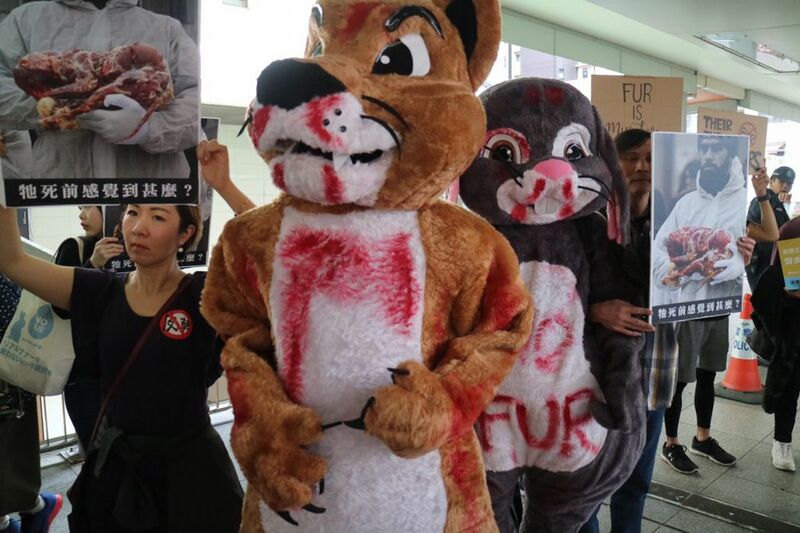 Animal rights activists protested on Saturday outside an international fur fair in Hong Kong, calling on the city to end the “brutal” fur trade. 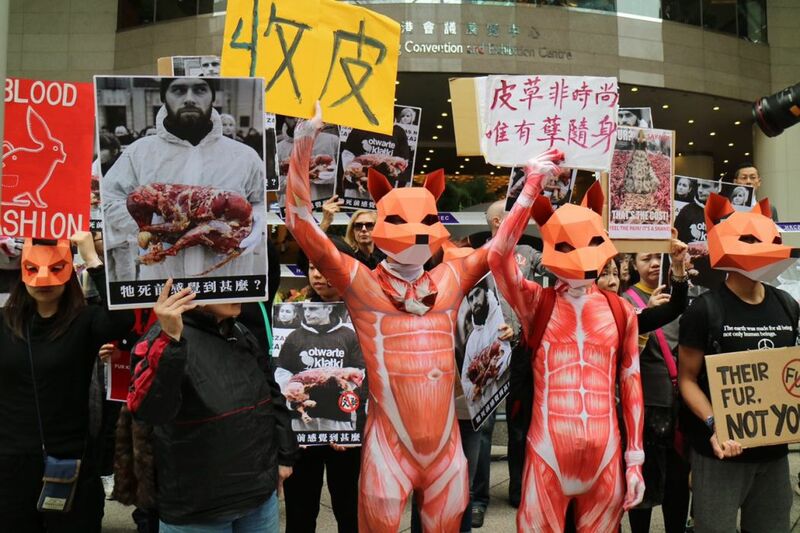 Protest against the Fur Fair in Hong Kong on February 24, 2018. Photo: In-Media. 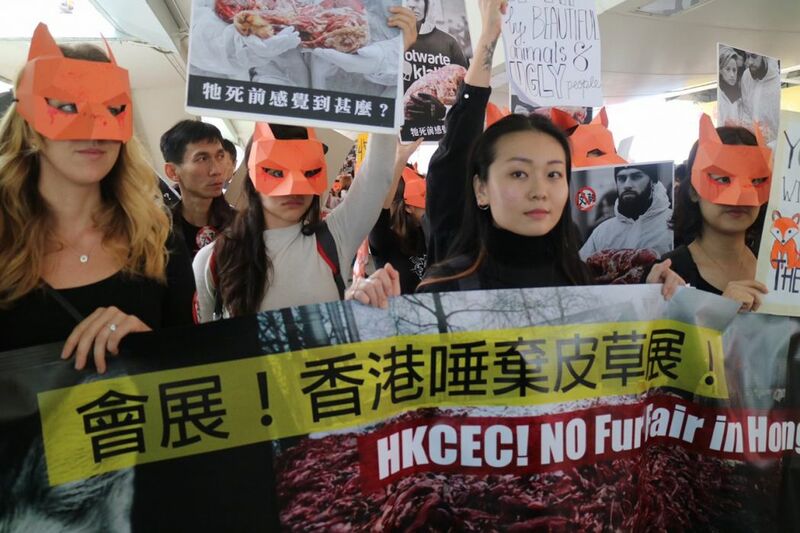 Around 80 protesters donning animal costumes and masks showed up at the Convention and Exhibition Centre in Wan Chai, which played host to the 2018 Hong Kong International Fur & Fashion Fair between Wednesday and Saturday last week. 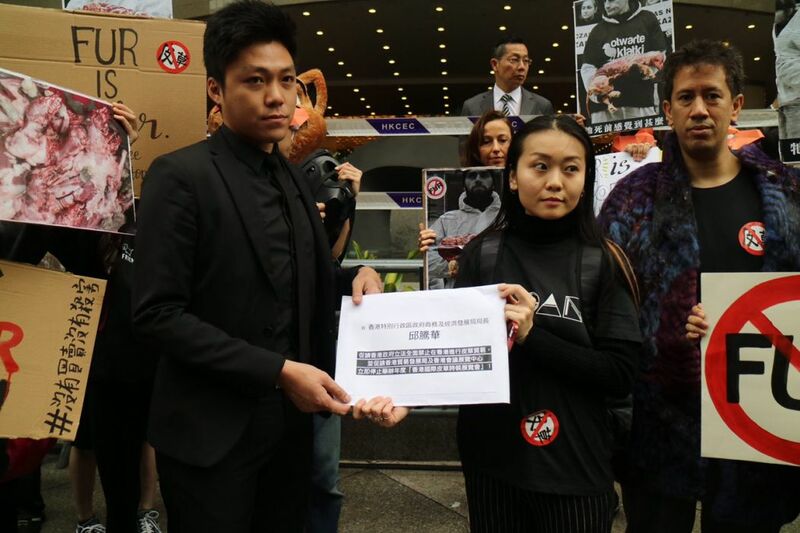 Demonstrators held placards criticising the “bloody” fur trade and submitted a petition to a representative of the Hong Kong Fur Federation, which organised the event. 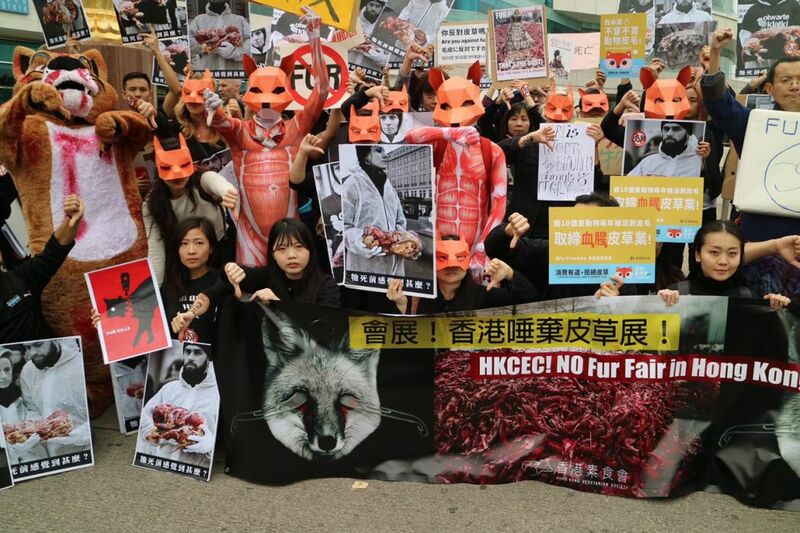 Organisers of the protest slammed the centre for condoning an “unethical trade” every year: “The exhibition halls were even sealed in order to allow the fur fair to continue smoothly,” they added. Animals such as rabbits, foxes, minks and seals are raised in fur farms and killed to meet the demands of the fur trade. Advocates say that the practice subjects animals to torture and is unethical. 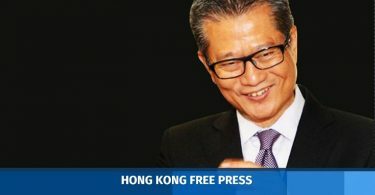 The federation said in a response that it opposed animal cruelty and that 95 per cent of the fur imported to Hong Kong comes from European and American farms, which are regulated by EU laws. 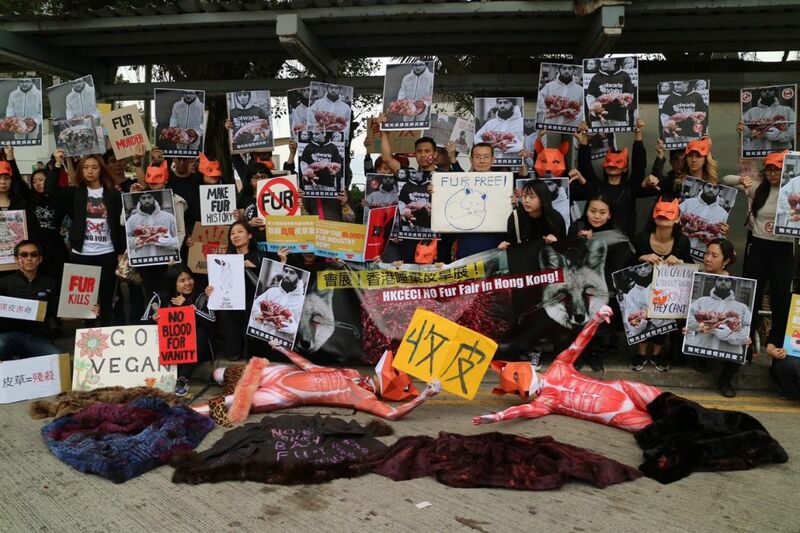 It said that the farms are subjected to strict animal welfare standards, Ming Pao reported. 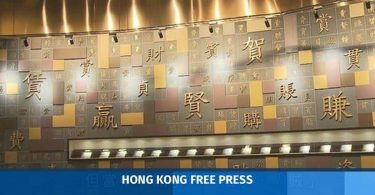 Not-for-profit, run by journalists and completely independent – thank you for reading Hong Kong Free Press. Contribute to our critical month-long HK$1m Funding Drive, help safeguard our independence and secure our operations for another year. Read how carefully we spend every cent in our Annual/Transparency Report.